Argentinian giallo enthusiasts Luciano and Nicolás Onetti (Sonno Profondo, Francesca) have begun shooting a new horror film in the ruins of Epecuén, Argentina called What the Waters Left Behind. We have stills from the set in the gallery below. 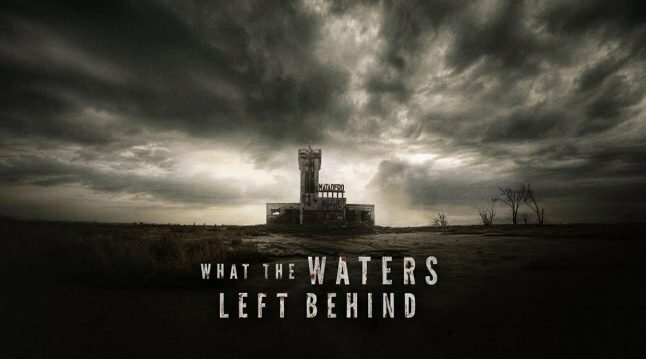 What the Waters Left Behind is a departure for the Onetti lads, as they often trade in fetishizing the Italian giallo film. This one — despite its Latin leanings — aims to be more of a ’70s “slasher road movie” like The Hills Have Eyes and The Texas Chains Saw Massacre. The film is produced by Nicolás Onetti with Michael Kraetzer (Inbred) on as executive producer and Pablo Guisa Koestinger (Scherzo Diabolico, Here Comes the Devil) as associated producer. The cast includes Agustín Pardella, Victoria Maurette, Mirta Busnelli, Gustavo Garzón, Chucho Fernández, Germán Baudino, Damián Dreizik, Evan Leed, Victorio D´Alessandro, Paula Brasca, Paula Sartor and Tamara Garzón.